Alexander The Great and Napoleon Bonaparte are two of the most noteworthy figures in human history. Both have changed the world significantly in many different ways, and much of their influence and legacy is still apparent to this very day. In this comparison article, we take a look at these two hugely influential characters. Known more commonly as Alexander The Great, the noted historical figure was born Alexander III of Macedon on either July 20 or 21, 356. He was a Greek king of Macedon, who went on to numerous achievements on and off the battlefield. Alexander The Great left the legacy of one of the largest empires in history when he died in June 323 B.C. Napoleon Bonaparte was born on August 15, 1769. 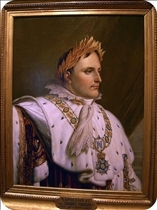 A military and political leader of France, Bonaparte was crowned Emperor Napoleon I, and his achievements played a crucial role in defining the European political sphere of the early 19th century. 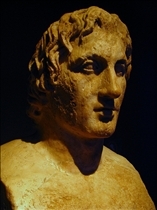 Alexander The Great was the most noteworthy member of the Argead Dynasty, and was responsible for establishing the one of the largest empires in history. Alexander captured Asia Minor from the Persians in 334 BC, a victory that paved the way for several campaigns lasting a decade. Alexander's victory over the Persians was the result of several decisive battles, the most notable of which where fought in Issus and Gaugamela. His victories resulted in the overthrowing of the Darius III King of Persia, and Alexander’s subsequent conquering of the entire Persian Empire. Napoleon Bonaparte first achieved acclaim during the period of the French First Republic, during which he was at the helm of several campaigns against the First and Second Coalitions opposing France. Right at the end of the 18th century, Bonaparte launched a coup d'état and pronounced himself First Consul of France. It was only five years later when he would be proclaimed emperor by the French Senate. Napoleon’s reign wasn't a passive one, and during the first ten years of his rule, he launched a war that would involve virtually every major power in Europe. Dubbed the Napoleonic Wars, the campaign own for Napoleon a series of victories that would make France a force to contend with in the European continent. Napoleon built on this victory by forging alliances with other key countries, and by appointing friends and family members as rulers of French “client states” throughout Europe. Alexander The Great met his end on either the 10th or 11th of June 323 BC, in Nebuchadnezzar II’s palace in Babylon. He was 32 years old at the time of his death, which came about two weeks after an extensive drinking session with Medius of Larissa. It is not certain what caused Alexander's death, although theories range from poisoning to natural causes. Napoleon Bonaparte may have also been the victim of poisoning, although an autopsy performed on his body suggests that he may have died of stomach cancer. Which conqueror is glorified more?